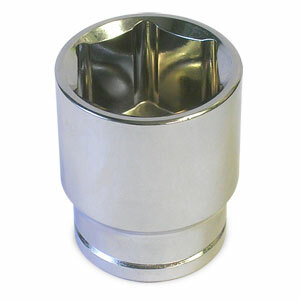 This fuel filter socket is used remove and install fuel filters on '10-'18, 6.7L Dodge Cummins engines. Use the 28mm socket on the raised hex on the fuel filter housing. Finish varies between chrome and parkerized finishes. This worked great, Much better fit. Even worked good after rounding the plastic nut with the 1 1/8 socket. This is the perfect socket for the job! Order was processed quick and I received my package in less time than expected! I like how easy it is to order and get what I need from your website. Also got the stuff on time. I'll definitely order more parts as I need them. The little catalog is nice to look at to see what all you offer. This socket makes filter changes a breeze! 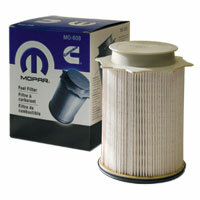 Just changed the fuel filters using the 28mm socket purchased at Genos Garage. Fast and convenient shipping to my mailbox and I was in business. The socket works as advertised, good snug fit and removed the filter canister cap without any issue such a stripping or slipping. Great product terrible ya can not find one normally! The right tool for the right job and a great price. Makes the job at hand go so much easier. Have been using 1 1/8 for years, this is so much easier. This is THE CORRECT socket to remove your front fuel filter canister lid. Don't strip your cap trying to use a 12 point SAE socket....this is a 6 point socket that grips the cap firmly and greatly eases removal. Buy it !! Works great. Perfect match to the plastic cap on top of the fuel filter case. The 6-point is much better than the 12-point I have been using. Works great when coupled to a 1/2" swivel and extension. The crappy plastic top will last if you use this socket. It fits perfectly and no stripped plastic. I did have to use a knuckle (universal joint) and a few extensions as expected. This tool is the only way to change this. My filter cap was so tight I really thought I was going to break the plastic housing. There is no way to do it with out this socket. After hearing stories of rounded fuel filter caps, I chose to get a good quality 6 point socket so I would not face the same troubles. This looks to fill the bill nicely. I have a 2015 RAM 3500. Since the dealers charge so much to change fuel filters, I thought I would try myself. This socket makes removing the engine fuel filter cap pretty easy. But I found that even with this socket you will most likely need a 1/2" drive universal joint. That's what I did, socket first, u-Joint, about 13" of extension, and the ratchet came out in the clear above the fuel filter. Made the job pretty easy. One other suggestion is to add a length of hose to the drive tube - if you don't you're gonna end up with diesel all over the place.